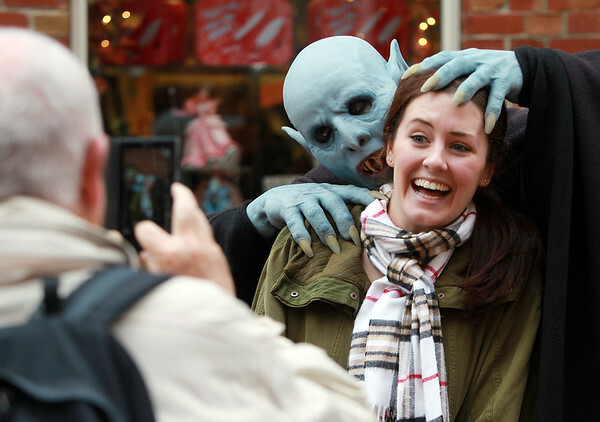 Bec Taylor, of Brisbane, Australia, poses with "Mr. Kurt Barlow" along the Essex Street pedestrian mall as her father John Taylor, left, takes a photo. DAVID LE/Staff photo. 10/24/14.